Hotel Nh Amsterdam Centre ofers a pleasant ambience that allows guests to have a peaceful and a memorable stay. 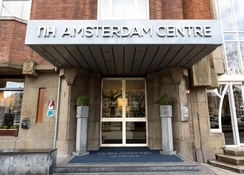 Located only a few hundred metres from the Leiden Square, locally known as Leidseplein in central Amsterdam, the hotel isn’t too far from tourist attractions. The guestrooms at the hotel are airy, bright and comfortable. The on-site amenities include a bar, a restaurant, a flowery patio and meeting facilites. Furthermore, the property provides Wi-Fi internet connection as well as an internet point, at the guests' disposal at any time of the day. An interesting fact about the hotel – it was built for the 1928 Olympic Games. 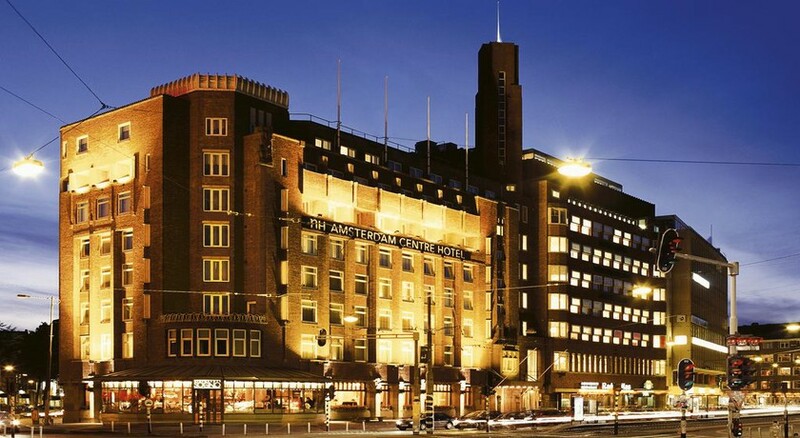 The architecture of the hotel complex is Amsterdamse. 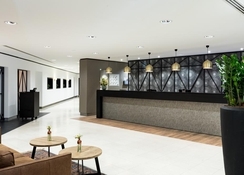 Hotel NH Amsterdam Centre lies just a stone's throw from the vibrant centre of Amsterdam, with its characteristic canals and markets, famous museums and numerous theatres and restaurants. The property faces the beautiful Leiden Square, offering all travellers the opportunity to sample the unique atmosphere of this metropolis. The Amsterdam Airport is only 15.3km from the hotel, making it easy for guests to reach the property, and board their flights back on time. Hotel NH Amsterdam Centre offers 232 nicely decorated and well-appointed guestrooms that are categorised as standard room, standard with view, superior room, suite and standard single. Each guestroom here comes with a private bathroom as well as a hairdryer. All rooms are furthermore equipped with direct dial phone, individually controlled air conditioning, desk, safe, colour TV with pay-per-view channels, heating and Wi-Fi internet connection. Non-smoking and disabled-accessible rooms are available. Hotel NH Amsterdam Centre features an amazing restaurant that serves a variety of scrumptious meals. From breakfast to dinner, chefs at the onsite restaurant whip up delicacies from around the world. There’s also the newly refurbished ‘Bar & Kitchen Copper’ that serves an array of delicious cocktails, tasty beers and smooth wines, all while offering spectacular views of the city. 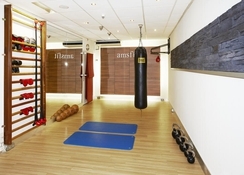 There’s a state of the art gym at Hotel NH Amsterdam Centre. 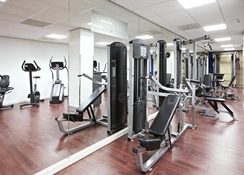 It has the latest equipment in terms of treadmills and weights. A personal trainer is also available for a focused workout session. The onsite spa features a whirlpool, sauna and steam bath. Here guests can relax and rejuvenate themselves with a plethora of massages, therapies and treatments. The hotel also features a sun terrace fitted with sun loungers and parasol – perfect for sun bathing.